News from DC’s Wondercon Publisher Panel – Sandman Universe, new Justice League and Teen Titans! Yesterday, DC Universe held their first ever live stream from Wondercon. I wish more companies would stream their panels, makes my life so much easier! Stream gave us lots of interesting tidbits on the brand new Sandman Universe, new Justice League and Teen Titan books and we found out that the Joker is not going to be happy about Batman’s upcoming nuptials. Honestly, I’m sick to death of the Joker and have no desire to read that one. Batman Metal will also conclude this week and will have big repercussions throughout the Universe. Check out the full press release. Video Games: Batman: The Telltale Series Comes to the Switch! I always thought the Telltale series of games would be great on the Nintendo Switch. I can now test this theory. Batman: The Telltale series will be hitting the Nintendo Switch, November 17th. I played the game on the PS4 Pro and loved it, so I’ll be revisiting it this weekend. I really wish they released both the first game and the 2nd one in one mega disk or at least at the same time. The first Batman game is already over a year old and I don’t own the 2nd one. Grrr… However the folks at Telltale threw a switch code for this one my way. Batman: The Killing Joke, On the Big Screen? OH YES. YES INDEED! I will never understand why the DCU doesn’t release some of their animated films into the theater, at least for limited engagements. I mean usually their stuff blows away a lot of the major studio releases. Looks like they are going to test the waters this summer with a one time showing Batman: The Killing Joke. One of these years, I have to make it to Austin for SXSW! If you are a fan of Telltale Games, the guys behind the well received games for The Walking Dead are going to debut their latest – Batman at the show. Their serialized way of interactive story telling is a perfect fit for Batman! Bluefin Announces Exclusive Collectibles for Comic-Con 2015! 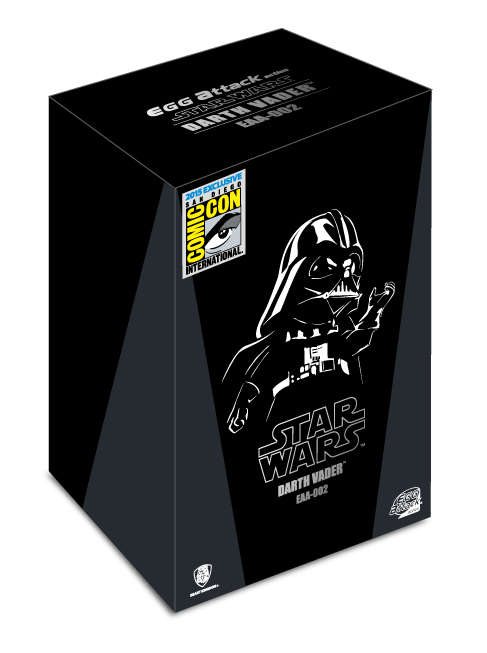 Bluefin a leading Toy and hobby distributor is bringing some cool special products to Comic-Con 2015 – including an incredibly detailed Egg Attack Darth Vader figure. As well as the evil Star Wars icon, the company has unique Iron Man, Batman, Sailor Moon, Dragon Ball, Gunpla and Gundam items lined up for fans to buy. Check them all out after the jump. 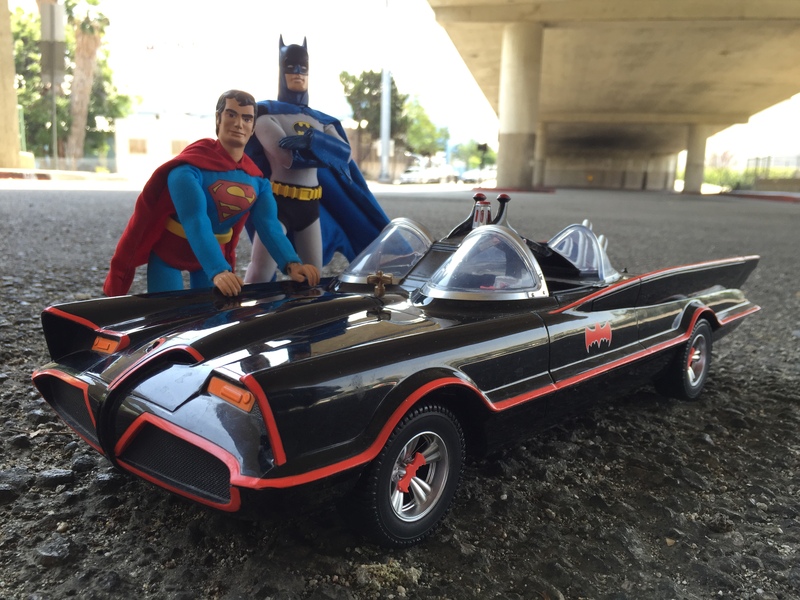 Robot Chicken Tackles Batman/Superman Bromance! They are polar opposites – Batman, The Dark Knight/scare-the-crap-out-the-bad-guys night time avenger and Superman, The Big Blue Boy Scout representing truth, justice and the American way. Somehow these two have become the best of friends – and Adult Swim’s Robot Chicken is going to explore what happens when this legendary bromance gets competitive. Adam West and Burt Ward join the voice cast for this extra-special/looney episode, Robot Chicken DC Comics Special III: Friendship Is Magic. This will the third time Robot Chicken has taken aim at the DC universe and it’s coming to a TV screen near you, this fall – along the show’s eighth season. Follow the jump for details. In tonight’s episode “Lovecraft”, we reach the winter finale and revisit what happened to Martha and Thomas Wayne when they were murdered which launched the series back in the pilot. We also learn from the official synopsis that following a misstep, Gordon is reassigned to duty at Arkham Asylum while Selina leads a friend, presumably Bruce, through Gotham on what proves to be a dangerous adventure trying to keep killer assassins at bay. 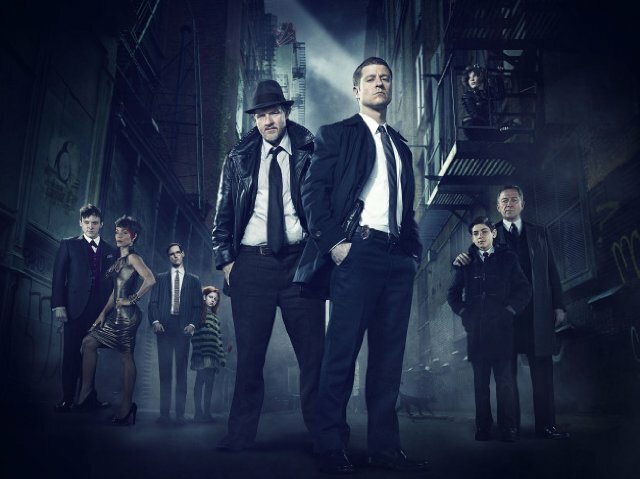 Recently we sat down with Jim Gordon himself, Ben McKenzie, to discuss Jim’s journey to hold on to what he holds dear while fighting the ever-growing dark forces that continue to plague Gotham. Full interview after the jump. After last week’s lame installment I’m expecting a barn burner episode. This week is all about people meeting. 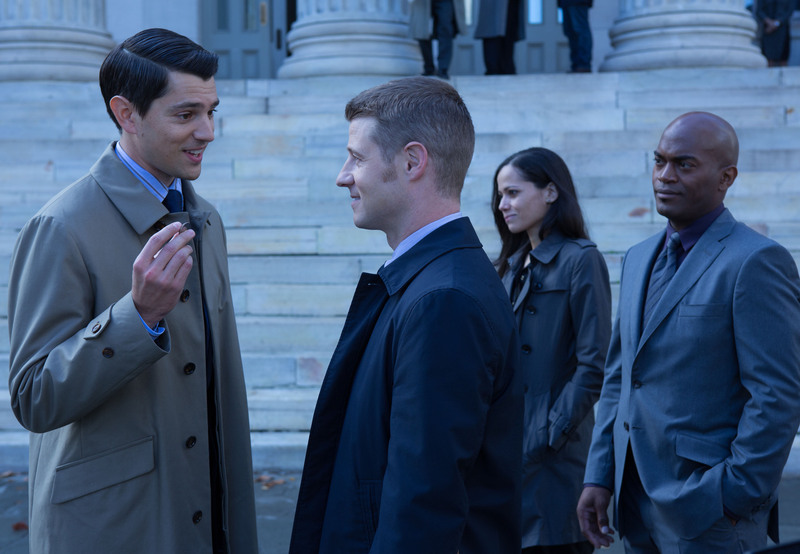 We meet Harvey Dent and Bruce meets Selina Kyle. After last week’s stellar outing, I think we’re due for another meh episode. That seems to be how the season is shaping up. Are we going to see a lot of fallout from all the major reveals last week? Blu-ray Review: Batman The Complete TV Series is Everything! One of the most anticipated home video releases of the decade is finally here! Batman The Complete Television Series is available in a glorious limited edition (I got 46,805 out of 95,000) re-mastered Blu-ray boxed set. I’ll save you the suspense; it was well worth the wait. Warner Home Video has really given fans of the series what they have been clamoring for. 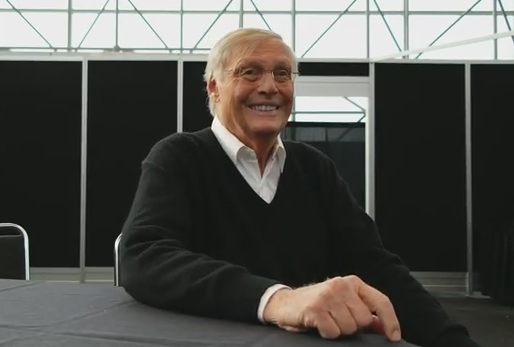 Exclusivie Interview with the Great Adam West! Holy Complete Batman Box Set Robin! Fans of the 1960’s cult classic Batman your wait is over. 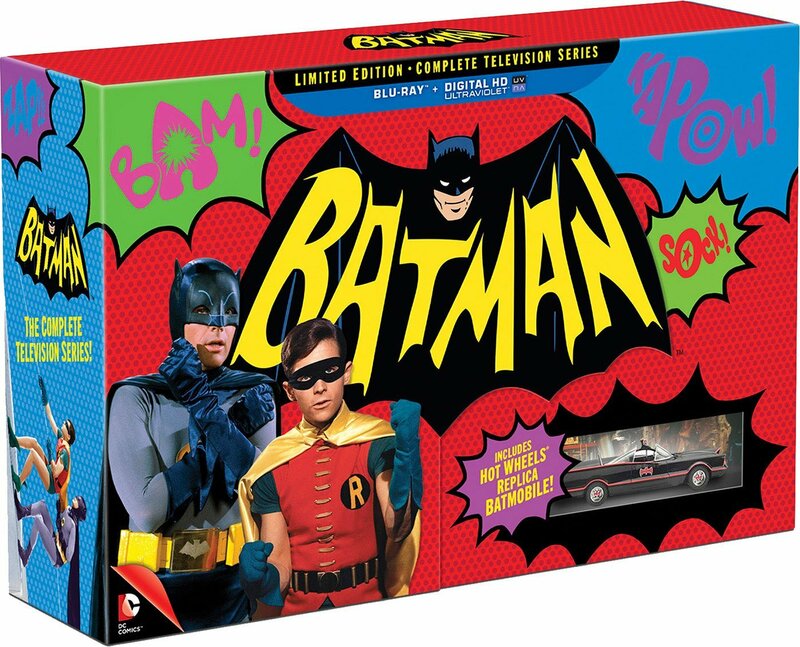 The complete Batman 66 is officially a box set DVD/BluRay. It’s jam packed with all the BLAMS, POWS and campy goodness we all loved watching the original series. Recently I had the honor of speaking with the one and only Batman himself, Adam West, to reminisce about his time on the show and what it meant to be Batman. Full interview and box set details after the jump!